Are you thinking about selling your home? Are you looking for a local Realtor in San Joaquin County that has the experience and local knowledge of the area? Serving Stockton, Lodi, Manteca, Elk Grove, Tracy and the surrounding areas, Bob Peralta has been a licensed broker for over 30 years. Born and raised in Linden/Stockton, he is a graduate from UOP with a Bachelor of Science degree in Business Marketing. His track record with the Better Business Bureau and 5 star Yelp rating is your assurance that you are dealing with a competent experienced professional. We’ve produced a video about Bob Peralta Properties. We want you to get to know us, but we’d like to get to know you so we can best serve your real estate needs. 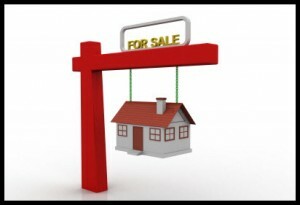 ♦ Provide up to date information relative to the supply and demand for the particular property type. ♦ We share how to properly prepare the property for sale in order to get the most amount of money in the least amount of time. ♦ We create innovative marketing programs designed to get the maximum amount of exposure. ♦ We encourage sellers consider offers from serious buyers only by requiring buyers prove they are fully qualified including proving they have the funds to purchase. ♦ We understand how to strategically go about analyzing and responding to offers including negotiating compromises that benefits both parties. ♦ Both buyers and sellers appreciate that we offer them the ability to sign legal documents from their home, office, or by smart phone or mobile device such as an iPhone, Android, or tablet device. That means we don’t have to physically find buyers or sellers as they can sign all legal documents electronically using their computers and/or mobile devices. When listing your home for sale, we will produce a video of your home to be included in all marketing. Below is an example of the videos we produce. This video shows a sampling of some of the homes we have sold in the past. If you are thinking of selling your home, you need an experienced advocate to get you the best deal. Bob Peralta Properties is dedicated to making the complicated process of buying or selling real estate as simple, easy and stress free as possible. I would be honored to represent you and make your transaction a pleasant and stress-free one. For a free consultation and home valuation, just give me a call or send a text, or email.